Ralf Kesper (Fröndenberg, Germany) on 21 March 2019 in Animal & Insect and Portfolio. Beautiful, very symbolic image. The swan's neck and reflection form the heart's image. I see here a heart. Fantastic reflections ! A great capture ! Good treatment for the white of this particular bird ! An excellent composition with reflections that create an eye-catching result!! Il se mire au miroir infini de la mare. Douceur et beauté. A marvelous picture with the great reflection. One of the best I’ve seen today. Wow...this is a great shot !! So simple and elegant ! It is wonderful. Very nice shot. 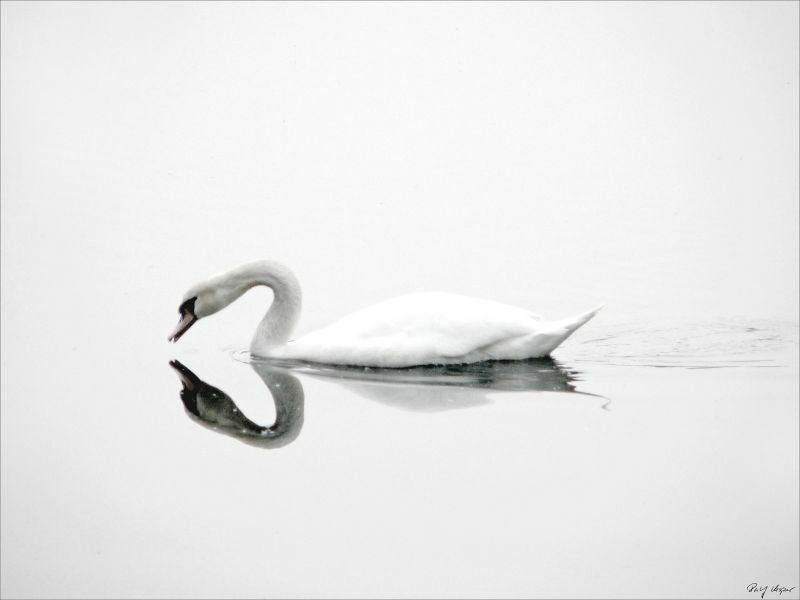 A sublime high key photo of this swan ! Beautiful and I love the reflection. Very simple and yet supremely elegant !